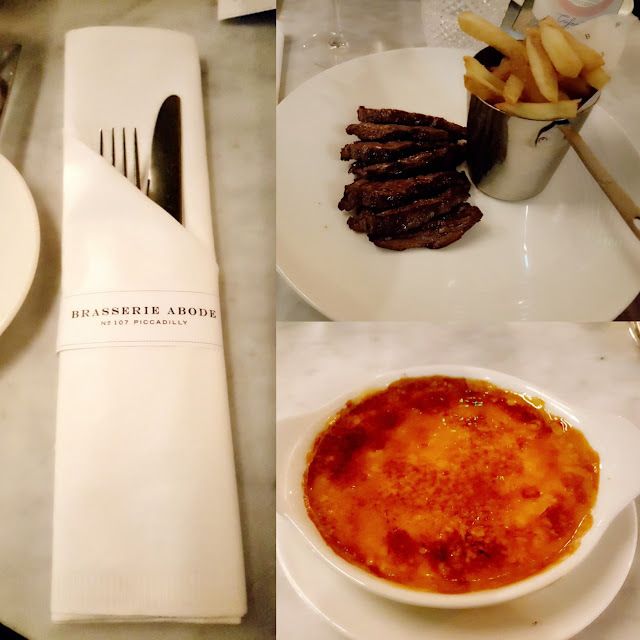 I spent the past weekend up in Manchester for a quick mini break before Christmas while up there we dined at the Brasserie Abode part of the Abode hotel chains. I hadn't heard of this hotel chain or restaurants before but as my friend had booked it I was happy to go with the flow. 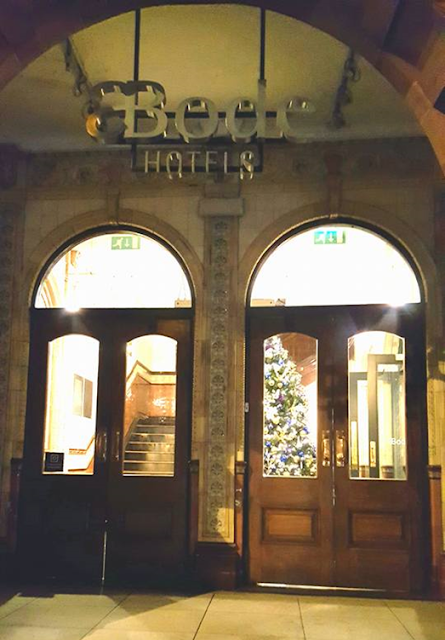 The hotel on arrival was very beautifully decorated with a large Christmas tree up in the entrance. Having no prior knowledge of the restaurant I was surprised by how grand the place was and excited at the prospect of the meal. The staff gave us wonderful service making the whole restaurant very inviting and the decor was incredibly classy! For the food I opted for a main meal of steak frittes - the steak was cooked to perfection and the chips were wonderfully seasoned leaving me with that happy fully feeling you get after eating a good meal. I could not fault my main meal and while it may not look a lot on the plate the portion sizing was perfect. For dessert I went for the creme brulee, this also happens to be my favourite dessert and again I could not fault it. It was perfectly creamy and the hard caramel on top was not burnt, in my opinion it was just right and it tasted amazing! The food was fantastic and it ended up being my favourite meal from the whole weekend. 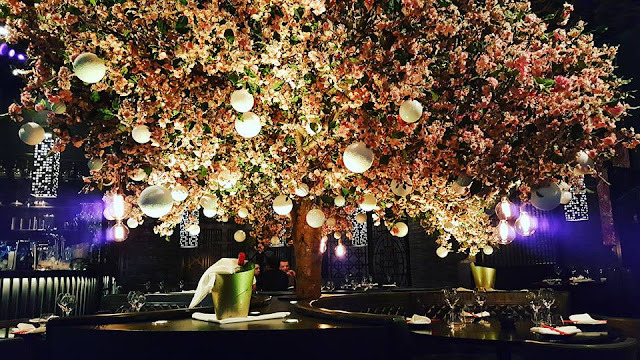 That added with the decor and the service I would even go as far as to say it is one of the best restaurants I have visited this year! If you live near an Abode hotel, are in Manchester or are planning on heading there I definitely recommend visiting, I will most certainly be heading back!